A spin-off to the popular Test Drive racing game series, focusing exclusively on the titular brand. The game was developed by Slightly Mad Studios - a team popular for two well-received installments in the Need for Speed: Shift subseries. Test Drive: Ferrari Racing Legends for PC, PS3 and X360 is a racing game published by BigBen Interactive and focusing on the titular car brand. Test Drive is one of the oldest franchises in the history of the genre – the original game was released in 1987. The game offers over fifty cars designed and produced by Ferrari in the years 1947-2009. The developer recreated both GT and Formula One cars. The game does not lack several classic, most recognizable models. 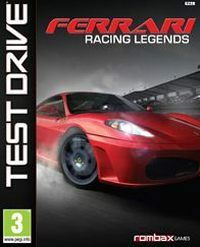 Test Drive: Ferrari Racing Legends for PC, PS3 and X360 was divided into several game modes. The player competes against advanced, AI-controlled opponents on real-existing racing and testing tracks. The game features over 30 of them - among those, the player can find such classic locations as Monza, Silverstone or Nurburgring. The Campaign is the main game mode here. It was divided into three eras, namely the golden, the silver and the modern one. Depending on the era chosen, the player gains access to a set of cars produced within the period. Making good use of the cars, the player achieves goals set by the creators and unlocks subsequent vehicles and challenges. For those who prefer to race against living, less predictable opponents, a multiplayer mode was implemented. Up to 8 players can meet in one session.